A work of art on display clothing made specifically by using a wax to the cloth into very beautiful batik shirt patterned plants, leaves and flowers. Fashion cotton cloth contemporary classic style very enchanting. Batik is ancestral legacy hundreds years of Indonesia as whole technique, technology, development and related cultural motifs. On October 2, 2009 UNESCO establish batik as Masterpieces of the Oral and Intangible Heritage of Humanity. 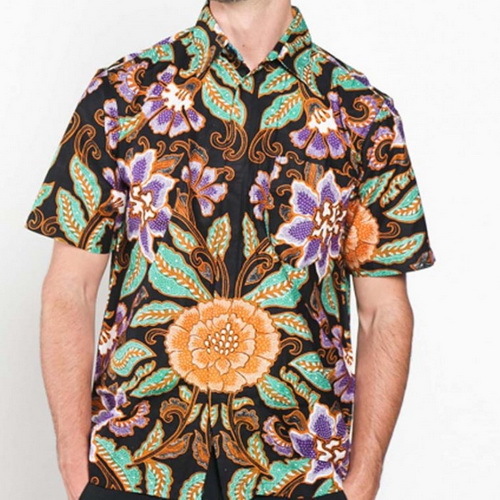 The word "batik" is derived from combination of two words Java language. "Amba" which means "writing" and "titik" which means "point". Batik is processed in a way has specific writing with dotted motif. Art coloring cloth using wax printing technique is one of ancient art form. The original fine tradition string tropical islands of Sumatra, Java, Kalimantan, Sulawesi, Flores, Halmahera to Papua. Detailed handwriting using a "canting" displays originality pattern of vines and flowers complicated as a craft has high artistic value and has become part of culture since long. 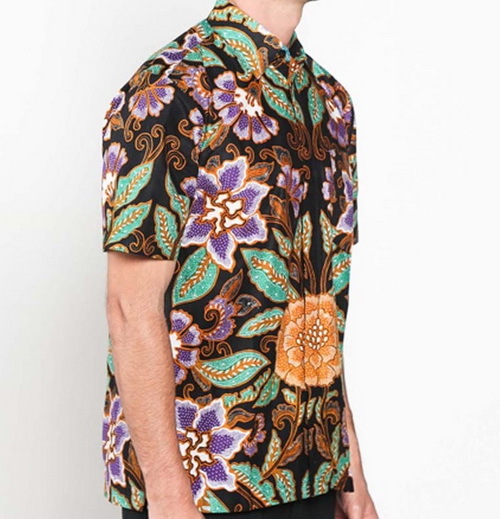 Batik is a tradition handed down so a recognizable motif comes from a specific region. Coastal batik absorb bright colors such as red, blue and phoenix. 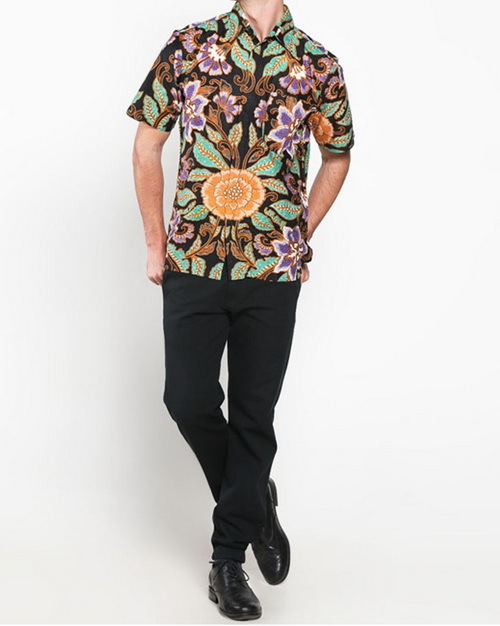 Retain traditional batik pattern raw and representation of each. Long diligence process by painting with wax and then dyed with light colors then for the next motif with older color or darker. After some time coloring process, the wax removed resulting in a beautiful work. Yogyakarta is famous handicraft produce premium products. Finely textured cotton fabric and soft feel comfortable, classic colors and patterns, stitches neat and strong bring high-quality fashion. 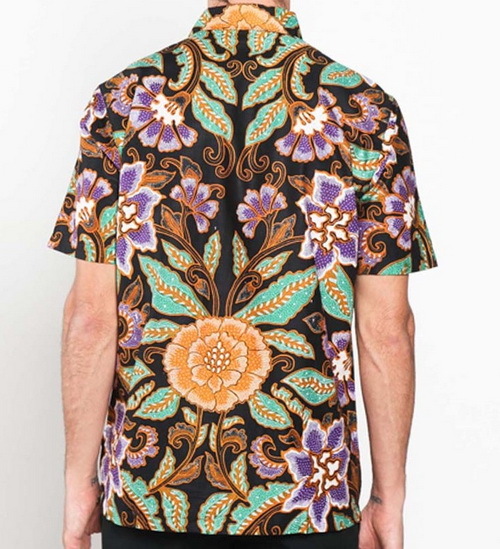 Batik shirt short-sleeve men's formal models are made of cotton, batik print modern motif flower leaves bright and soft colors. Model standard collar with buttons inside closed. Pouch pocket on the left chest without lid.